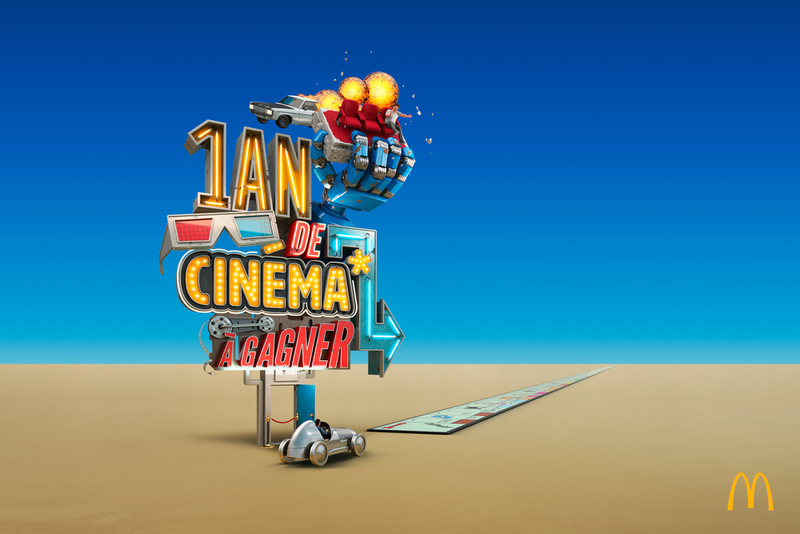 Nobrain in France invited me to design and create a series of illustrations featuring exotic signage for Mcdonalds monopoly promotion in France. Each sign was developed around specific prizes such as cinema tickets, electronic products and cash prizes. Big, bold, fun and vibrant was the main objectives.